Auriga – The Devil That Dines And A Drink That Smokes! Halloween is a festival of chills and thrills. Auriga will host a ‘Halloween’ themed gastronomic journey for all of you that visit. “Dragon blood” beverages, and Food that can kill, dedicating this weekend to spooking people out with their apparent over the top drinks and desserts. 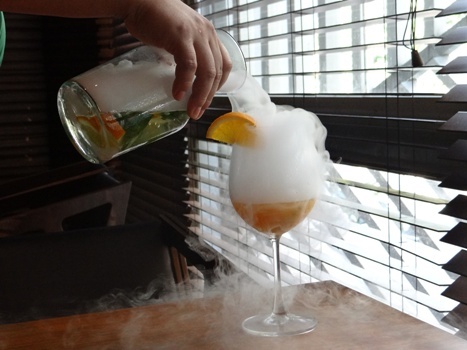 Drinks will have smoke blazing out and desserts over pouring with alcohol. If you haven’t thought of something crazy to do yet – once you have these treats, you will have bunch of tricks lined up! In desserts, an upside down rum soaked cake will bring out the devil in you. 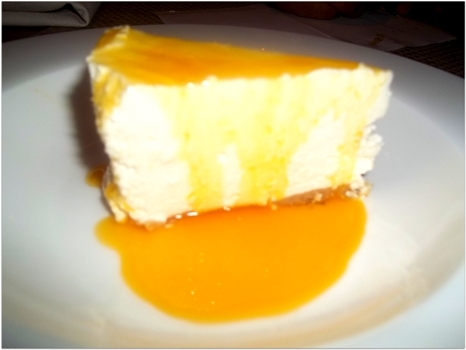 Besides a passion fruit cheesecake, so smooth and silky, will remind you of the angel within. For a night of tricks and treats, head to Auriga this Halloween!!! ← Book Review: DADA- Back To College!